Good news to the users of Infinix Note 3 and Note 3 Pro. The long awaited Android Nougat update has arrived for your phone. Now, you can either Install the update via TF Card or Flash with a PC. 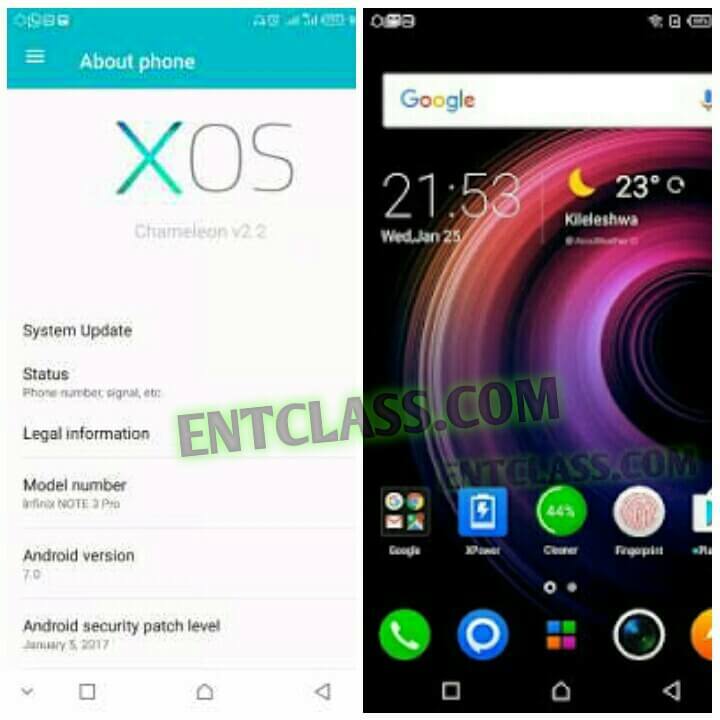 Early this year 2017, Infinix made it known that they had plans to roll out Android 7 Nougat for these smartphones. And here they are. It's really cool. Android 7.0 is currently the latest version of Android, also known as Nougat. Though, rumors has it that Android 8 is on its way coming, and will be named Android 8 OREO. At long last, Infinix mobility has rolled out update for Android 7 Nougat. There are lots of changes and modifications that came with the update; such as new Notification bar, the quick settings page and the settings page. There are some visual difference compared to older versions of Android. Additionally, the software is based on Infinixs’ XOS Chameleon user interface. Currently, only Infinix Note 3 and the Note 3 Pro are receiving the Nougat update. Note that this software is still in beta stage, so expect some bugs and issues. I won't be held responsible for any issues you might encounter while following this guidelines, such as Bricking your device. Make sure you know what you are doing before attempting to proceed with the Software update. To flash or install the update via PC, click here for procedures. To flash or install with your SD card (without PC), click here for procedures. 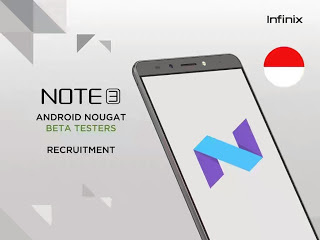 Update Infinix Note 3 and Note Pro to Android 7.0 Nougat. Download and Flash Infinix Note 3 and Note 3 Pro Android 7 Nougat update. Sir Vic, can we get a t-card stock rom on infinix 507x?? I don't understand you sir. hello, please i want to upgrade my infinix hot note. how do i go about it. Currently not possible. No chance of any upgrade. Have worked with Carl Care before. Don't ever expect it for now. That brand is on the same level as Malata. Download manager has nothing to do with this. Wow, good information, thanks for the update.